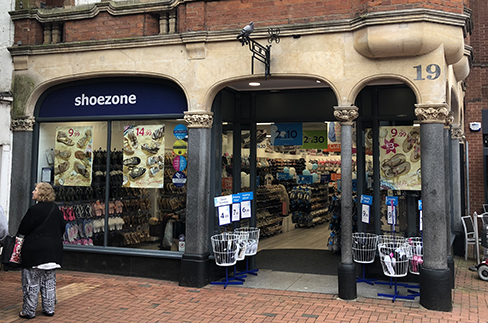 One of your team members from the rugby store, Sophie, was really helpful and helped me to find a pair of slippers for my dad. She went above and beyond to find the pair i was after in the size i needed too. Faultless customer service and was very much appreciated, thank you Sophie. Overall the store and staff were good, however the choice was extremely limited and so I had to settle rather than choose something I was quite happy with. Also I had a voucher for money off but all the footwear was priced just below the cost of the voucher so to get the voucher I hadto purchase something I would not normally buy. I went into the Rugby store today to return a pair of school shoes that my daughter has had 6 weeks that were labelled scuff resistant yet all the toes were scuffed and they were in quite poor condition. I had my receipt and wanted to exchange like for like but they had no size 13 in stock. I took my daughter in straight from school so she had the shoes on her feet. I was told he could only order me a pair in if he had the other shoes back today which would've left my daughter with no shoes to wear home (I realise that's down to me for being unorganised and not bringing another pair but they were in such bad condition when she came out of school I went straight to the shop). I then exchanged for a different pair in the same size, the gentleman took back the faulty shoes but when my daughter put the new shoes on to leave they were a poor fit and not as good quality. I then asked the guy to ring the Coventry Ricoh store to see if they had a size 13 which they did so I had to purchase an additional pair of shoes for her to wear as she couldn't wear the ones I had exchanged. We then drove all the way over there which was a 2 hour round trip in rush hour traffic. The Coventry store had them there waiting wrapped up in plastic and I've got home and the shoes are missing a sequin so I'm not a very happy customer as it's not like I can take them back to rugby because aside from the fact they are now closed, apparently they can't order her any until they have these ones back which will leave my daughter with no shoes for school tomorrow. I would appreciate a response to my complaint. Surely it should not be this difficult to return a faulty pair of shoes?